Hi, I am interested in your 2019 Forest River Other Forest River Models listed on Autotrader. I'd like to get more information about this vehicle and confirm its availability. 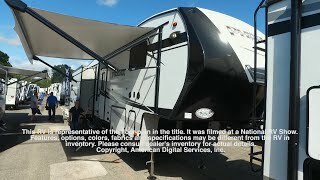 2019 SHASTA PHOENIX 27RKS LIGHT WEIGHT 5TH WHEEL FOR SALE IN CANTON, TX. CHECK OUT THIS BRAND NEW FLOOR PLAN FROM SHASTA. CALL 855-235-0291.